Architectural magic mixed with luxury and elegant designs are the key factors towards making the "Finesse villas" a truly remarkable holiday experience. 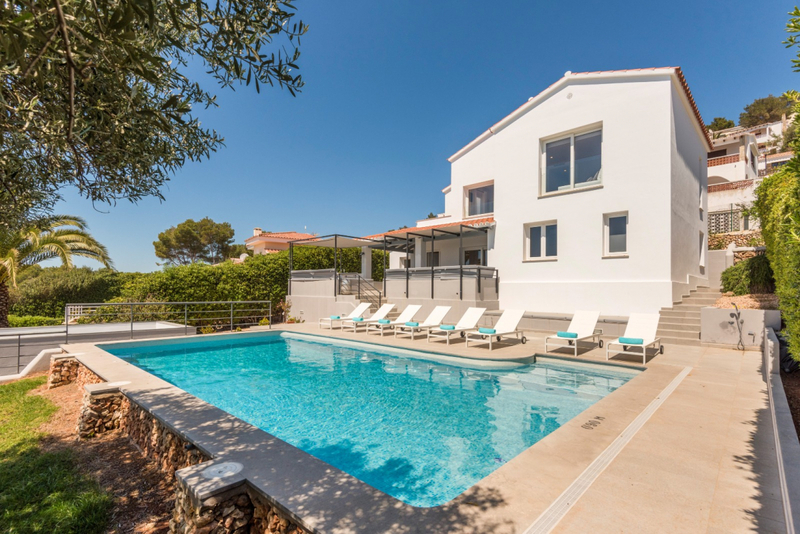 Within this private estate, situated to the rear of Torre Soli, there are fourteen villas, each designed to enhance a quality of stay unrivalled in Menorca. 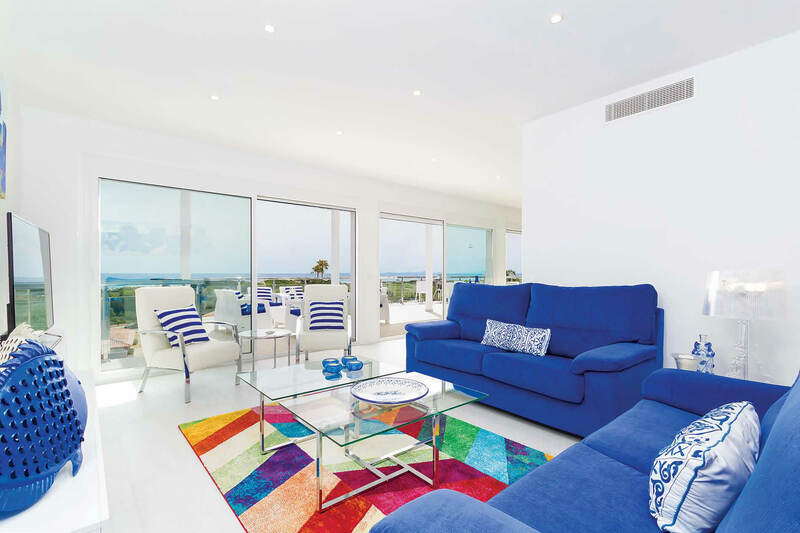 Each of the luxury villas has three bedrooms, three bathrooms, exquisite grounds, terraces, private pool with Jacuzzi and views to the sea or the countryside. 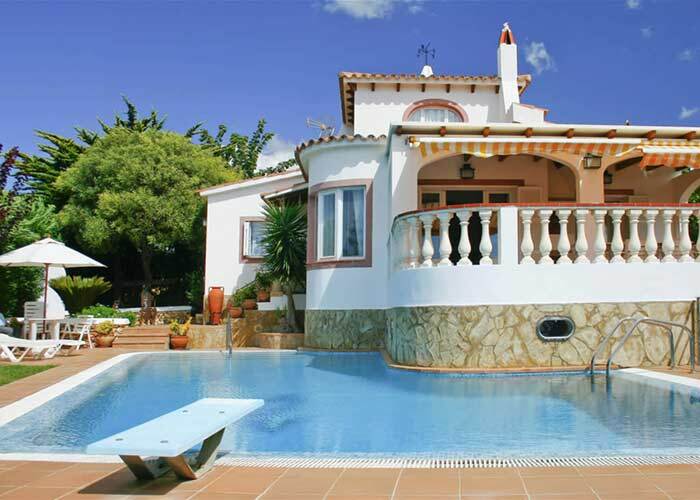 A "splash" of a villa, a perfect villa to rest, read and sunbathe . 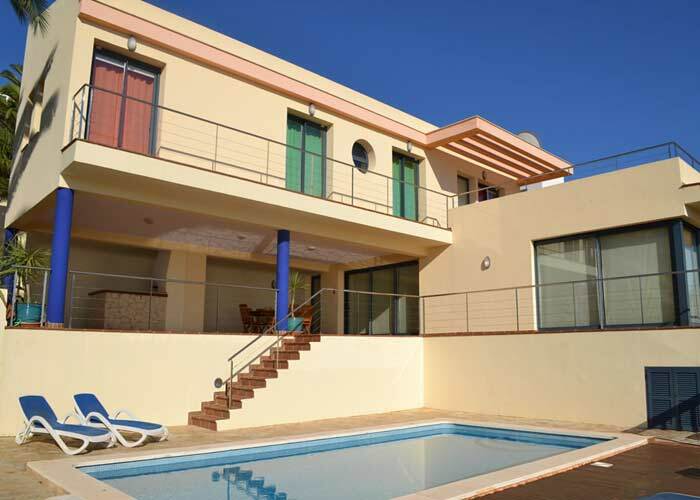 The easy and modern lines of this three bedroom property promotes an uncomplicated holiday stay. 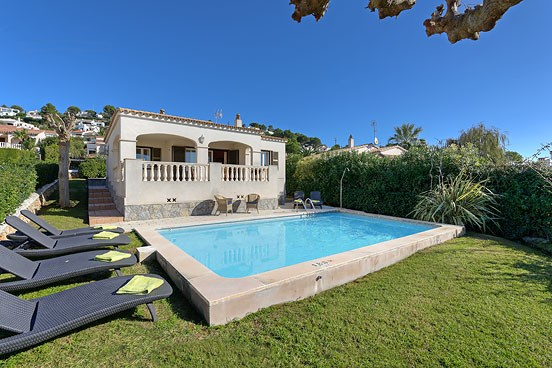 And the private pool, pleasant grounds and the sea views remind you that "your on holiday"
Villa Gabriel 43 enjoys a truly fabulous location, nestled in beautifully mature and colourful enclosed gardens within the delightful seaside village of San Jaime. 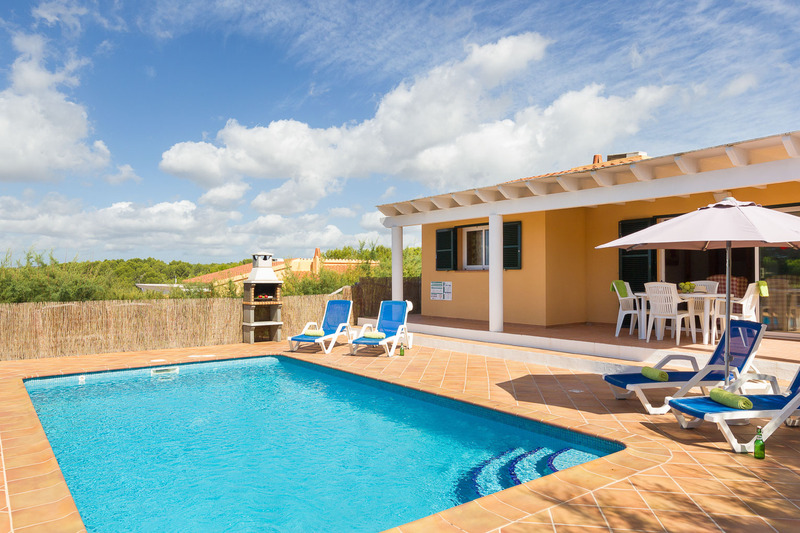 Villa 245 is a modern day comfortable bungalow with a private pool and air conditioning. One of the most popular villas in the area of Torre Soli, and finding an available week can be a challenge. The reasons are several, but mainly, Los Leones is a very comfortable, practical and private villa. 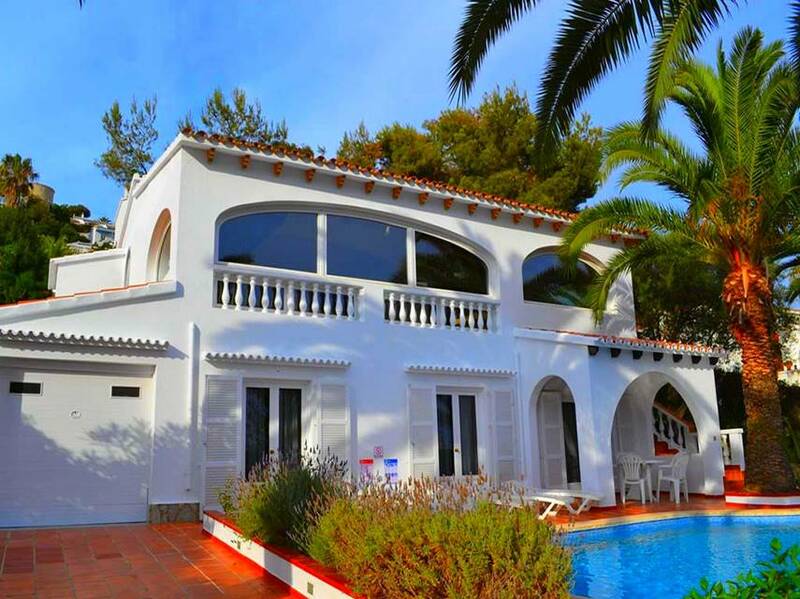 This is an original, two- storey mediterreanian style villa, situated on the Paseo Maritimo. It is just across the road from the shops,bars and restaurants in the comercial zone and 500m from the beach. The prize for climbing the thirty steps to this villa are its majestic views, which generally causes one to cry �wow�, privileged views overlooking the sea, the coastline, the gorge and the countryside � a truly colourful and for ever changing variety of scenes to please your senses. 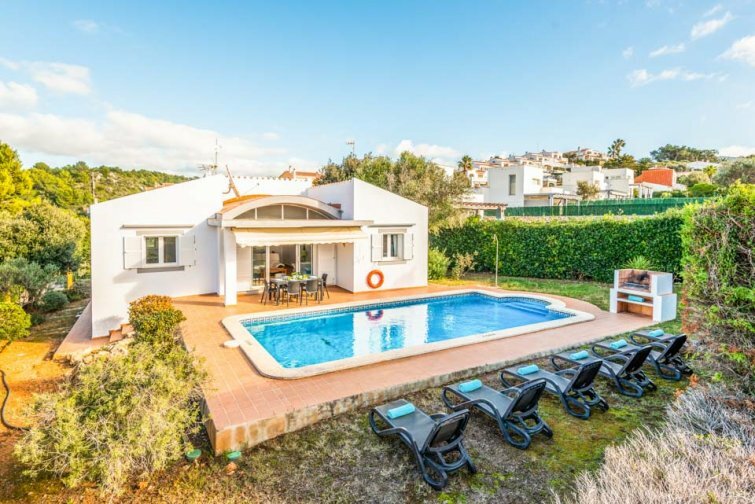 This semi-detached villa, with private pool, is ideal for families who are looking to enjoy the benefits of a private villa for budget pricing. 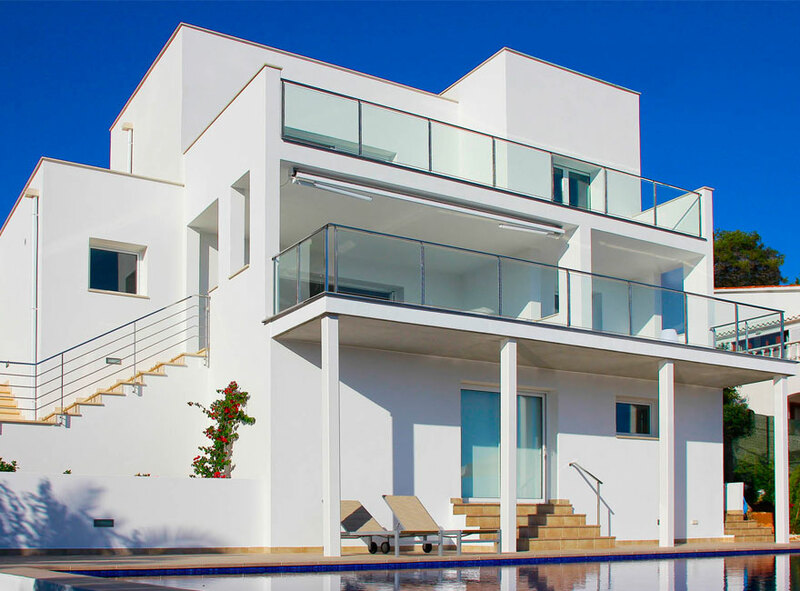 This fantastic modern Son Bou villa is accessed by steps from the road level, in an elevated position to make the most of the stunning views from the sun terrace. The accommodation is laid out on one floor with three comfortable air conditioned bedrooms. The villa is well-furnished and fully equipped with plenty of mod cons to keep you entertained during your stay. Villa 105 is popular for its homely charm and features, it is also a very private property with a pretty design and caters for six guests perfectly. Within the villas grounds there is a designer shaped pool with floral gardens, iron sculptures and lawned spaces. 105 is situated in the residential area of Torre Soli and is close to the summertime supermarketI and public bus stop, although we can assist with a vehicle hire if you wish to get about more. 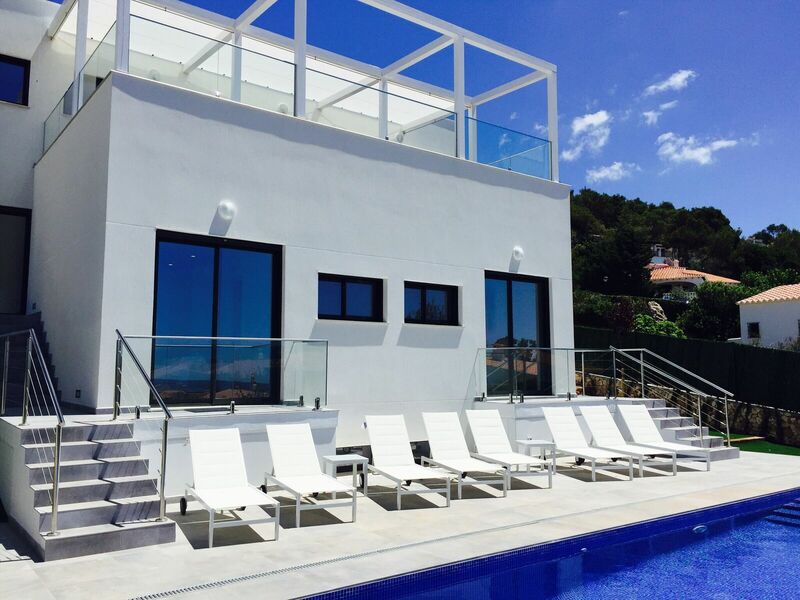 Magnificent and luxury four bedroom villa just renewed, with air condition, set to the middle of the hill side of San Jaime with exceptional sea view. 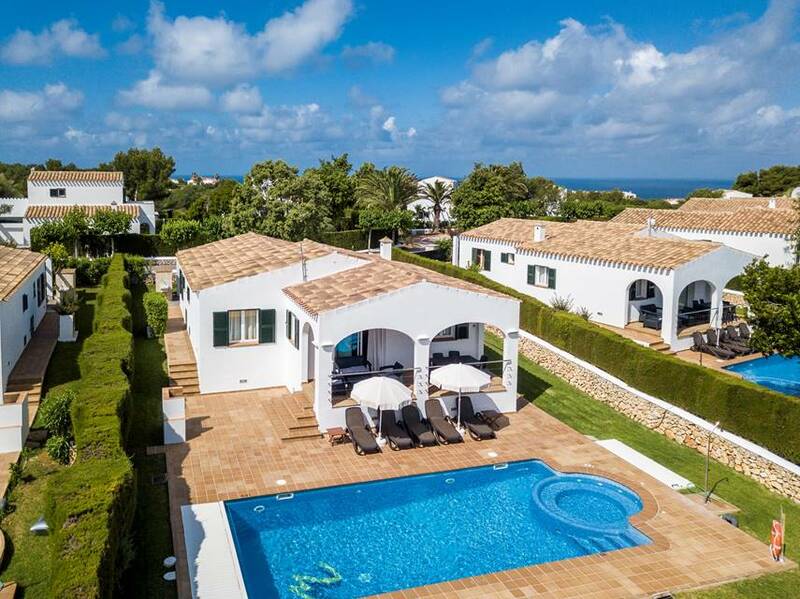 Villa Bona Vista, located in the top end of the Torre Soli urbanization, is only 10 minutes drive from the fant�stic beach of Son Bou. 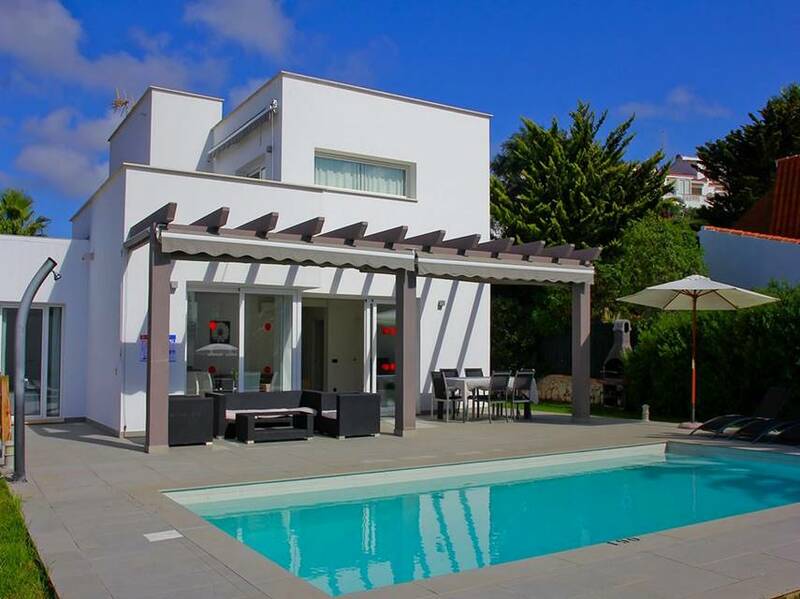 Villa 32 is a modernistic four bedroom gem with the addition of having fantastic sea views and an impressive private pool area. A villa of vanguard design with floor to ceiling windows and open interiors, which makes it stand out amongst its more traditional Mediterranean style neighbours. Villa Bonita is situated in one of the resorts most exclusive areas, nestled among the pine trees of San Jaime, in an elevated position (accessed from the road via a number of steps) to make the most of the sea views. This beautiful villa provides ample living space both inside and out, with modern high quality furnishings and includes air conditioning and WIFI. 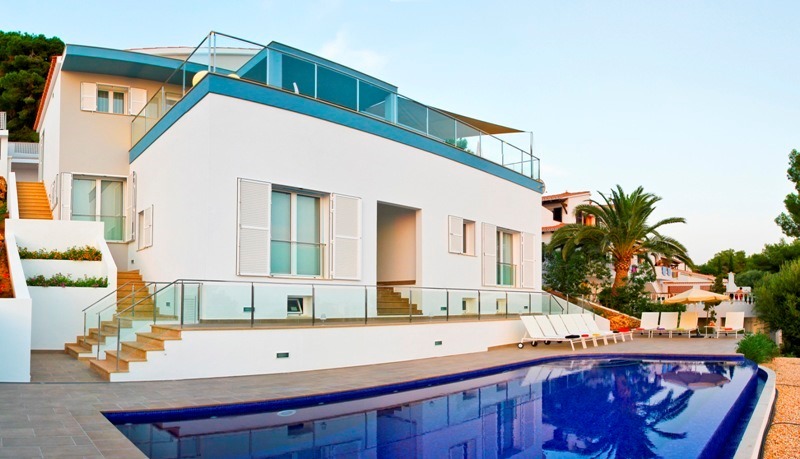 Villa 196 TS offers you all that you need: comfort and spectacular sea views. Situated at the top of Torre Soli, this 4 bedroom villa has a modern and practical kitchen with access to the pool area. In our brand new villa which has a real summer feel, Villa Marisa exudes wellness within its every corner, a Mediterranean style with spectacular views of Son Bou. Villa 241 TS offers you all that you need: confort and quietness. 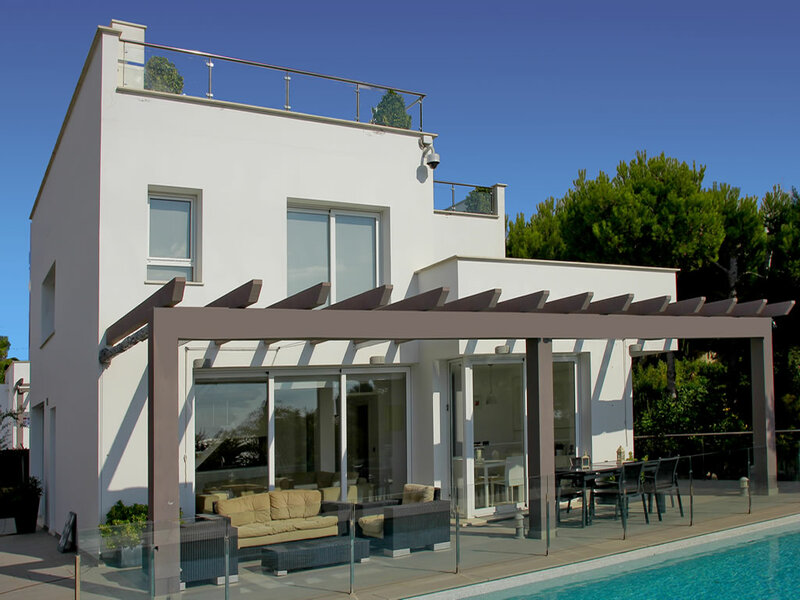 Situated at the top of Torre Soli, this 5 bedroom villa has a modern and practical kitchen with access to the pool area. Spectacular, modern, fabulous, great, splendid, bright, colourful, refined, stylish... and a long list of other adjectives are needed to describe our new Prestige&Privilege Villas. 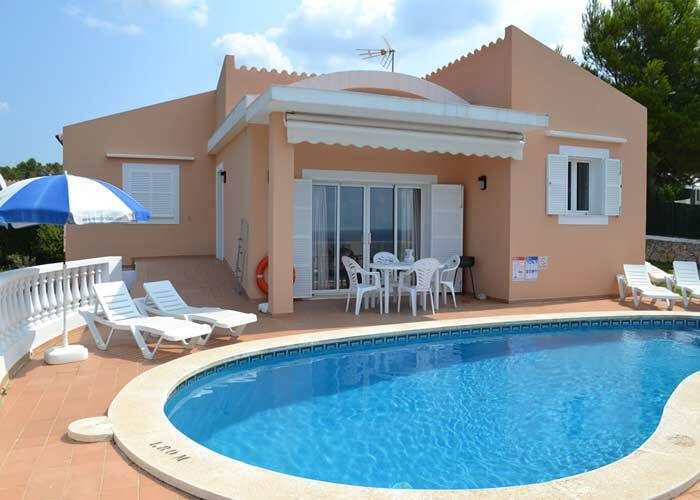 A beautiful house with stunning views to the south coast of Menorca, Villa del Sol provides to their guests all the amenities to enjoy it like a second home. New Premium Villa in construction. Available as from July 2016. With similar style and quality finishings as our Prestige & Privilege Villas. Totally equipped, with 5 bedrooms and 5 bathrooms. Villa Dolce Vita�(sister to our Villa Paradise) is acctually under construccion and will be�one of our last incorporations to our Permium Villa catalogu.